Paul Casey was born in Cork in 1968. He grew up between Ireland, Zambia and South Africa and has worked in film, multimedia and teaching. He has published poems in five of his six spoken languages, along with articles, in journals and anthologies in Ireland, the US, China, Australia, South Africa, Romania and Bosnia-Herzegovina. 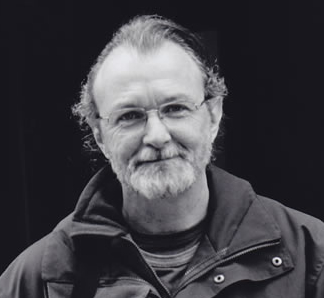 A chapbook of his longer poems, It’s Not all Bad, was published by The Heaventree Press in 2009, and he completed a poetry-film based on Ian Duhig’s iconic poem The Lammas Hireling. His debut collection is home more or less (Salmon Poetry, 2012) and in 2013 he was awarded a Cork City Council Artist’s Bursary to work on his second collection Virtual Tides, which arrived from Salmon in 2016. His poems have appeared in many journals and anthologies, including by The Irish Examiner, Colony, The Pickled Body, And Agamemnon dead, Crannóg, North West Words, Shamrock Haiku Journal, New Eyes on the Great Book, Southword, the Over the Edge Anthology, The Penny Dreadful, Levure Littéraire, Live Encounters, Fulcrum, Itaca and Brain of Forgetting. Most recently his work has appeared in The Wolf, The Café Review, The Penny Dreadful The Irish Times, Arté Metropolis TV and in the 2016 anthologies, Looking at the Stars, On the Banks, Even the Daybreak, Blackjack and the Cork Literary Review. In 2014 he wrote and performed an original collaborative piece with Afric McGlinchey, for Stephen J. Fowler’s Enemies project. His poetry has been translated into Romanian, French, German and Italian. Casey performs each year at various festivals and venues in Ireland and around the world, having featured at, among other universities and venues, Poetry Africa in Durban, at the AWP, Beyond Baroque and The World Stage in Los Angeles, Nelson Mandela University, Dominican University San Rafael, The Godiva Festival in Coventry, the Cork Spring Poetry festival, the Cúirt Festival of Literature, the Dromineer Literature Festival and at the Troubadour in London. He has been recorded by RTE Radio 1 for the Poetry Programme and for Arena. He read in the Guild Hall in Coventry for the state visit of president Michael D. Higgins. He is poet in residence each May during the Bealtaine festival, in Carechoice elderly homes around county Cork. He also curates and edits the annual Unfinished Book of Poetry, featuring verse written by transition year students from Cork city schools. He is the founder/director of the weekly Ó Bhéal poetry reading series in Cork city. This entry was posted in Contemporary Irish Poetry, Issue 22, Paul Casey and tagged Irish poetry, poetry by Mark Roberts. Bookmark the permalink.